Most nights, like most people, I shovel food into my mouth with one hand while using the other to stab away at the remote control, desperately trying to find something on television that isn’t about penguins, swearing Chefs or bunch of idiots eating a slug sandwich while having a dozen scorpions shoved down their underwear in Fear Survivor Brother Island. However, as I sit here in this faceless hotel with its revolving doors and Fawlty Tours style service I find myself missing Sunday lunch…………..a true British tradition and one my family has upheld and one Heidi and I continue when we are home. If Heidi had her way the TV would be banned while we are eating. However, tucking into a big bowl of pre-diet curry while watching the game is something that brought happiness to my life. On Sundays though the television is turned off, a big fire is lit in the dining room and the whole family gathers round to gorge on a feast of roast meat, gravy and what my Mum calls ‘all the trimmings’…………..the trimmings include: Roast Potatoes, Yorkshire Pudding, Peas, Carrots, Cauliflower, Brussel Sprouts, Stuffing Balls and Roasted Parsnips. brick and that the Welsh are all great singers and have romantic interludes with sheep. It’s a perceived cornerstone that Sunday Lunch is a British way of life but according to the newspapers today (well, my online newspaper) in fact few people actually do it. Figures show that only 31% of families eat together more than once a week and that of this minority, 77% do so while watching penguins tap dancing or Gordon Ramsey trying to string a sentence together without saying F*^”…………family conversation is no more……….TV is king. Worse though is that 4 out of 10 British families never eat at a table……….preferring to eat from a tray while watching Simon Bowel tell some kid his singing sounds like a cat being castrated by Stevie Wonder with a pair of tweezers. the TV………….Super Bowl, The World Cup Final etc but that’s it…………….is this the same in North America……………do families still sit round a table to eat? Tomorrow or perhaps later today thanks to the jungle drums of the internet you will read about the young lady who has been chosen to be the Godmother of the Carnival Freedom. However, thanks to the super spy powers of PA 007 I have been able to get hold of the release and be the first publication this side of the pond to let you all know who has this terrific honour. MIAMI (June 9, 2008 ) British celebrity Myleene Klass, a chart-topping musican, singer and television personality, is to be godmother of the new Carnival Splendor and officially name the newest “Fun Ship” of the world’s largest cruise line in Dover, England on July 10, 2008. At 113,300 tons and carrying up to 4,914 passengers, the Carnival Splendor will be the largest passenger ship ever to sail from the Kent port chosen for this summer’s UK inaugural voyage departures. The naming ceremony will also mark another first with Carnival emphasizing its choice of Britain to launch the Carnival Splendor by dispensing with, for the first time ever, the traditional champagne and using the highly acclaimed Nyetimber English Sparkling wine to smash against the hull. Myleene Klass is a classically trained musician and singer who has achieved enormous success on both the pop and classical charts in the U.K. She is also a tremendously popular TV presenter who has hosted numerous high profile British TV shows and currently hosts “The Screening Room” on CNN International, as well as the British radio program Classic FM Breakfast Show. Additionally, in 2007 she became the face of renowned British retailer Marks & Spencer and is currently featured in billboards, retail displays and television advertising throughout Britain. Nyetimber owner Eric Heerema said, “We are honoured that Carnival should choose Nyetimber 1994 Blanc de Blancs in preference to champagne for such a traditional occasion. The only problem is that we have such limited stocks of the 1994 vintage left that we were loath to lose even a bottle, but this is further important international recognition of the quality of our sparkling wine produced in West Sussex.” Nyetimber is served at leading restaurants including Le Gavroche, Gordon Ramsey’s Petrus, Chewton Glen and The Dorchester, and has been served at 10 Downing Street and by Her Majesty The Queen at many state occasions. Carnival Splendor offers a comprehensive selection of restaurants, show-stopping entertainment, four swimming pools, a 5,500-square-foot children’s play area and Carnival’s largest-ever floating spa featuring a thalassotherapy pool, thermal suite and 17 treatment rooms. Following the naming ceremony, the Carnival Splendor sets sail for a three-day mini preview cruise to Amsterdam, returning to Dover on July 13, when it will depart the same day for its official inaugural 12-day cruise to the Baltic countries, visiting Copenhagen, Warnemunde (for Berlin), Helsinki, St. Petersburg, Tallinn and Amsterdam. At the conclusion of its European program, which also includes a series of Mediterranean voyages, the Carnival Splendor will reposition to Fort Lauderdale, Fla., for seven-day Caribbean departures. Following a series of 14- to 18-day South America voyages, Carnival Splendor begins year-round seven-day Mexican Riviera cruises from Long Beach, Calif., March 29, 2009. 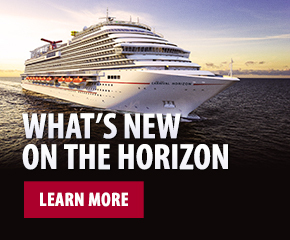 For additional information and reservations on Carnival Splendor’s various European, Caribbean, South American and Mexican Riviera cruises, contact any travel agent, call 1-800-CARNIVAL or visit www.carnival.com. Right now I know exactly what you are all thinking…………..each and everyone of you…………yep…………you are all thinking “why is John not driving an Aston Martin DB9 yet “…………….oh……………..and one two of you may be thinking………………who? Canada…………..that’s not easy………….she is a classically trained concert pianist who was a member of an all singing all conquering girl pop band and who know is one of our most sought after TV presenters and ……..oh yes………….she is drop dead gorgeous and has been known to make many a grown man go weak at the knees and start to drool……………me included…………….I am not sure who the equivalent U.S. TV personality would be…………………and the only thing I can come up with (excluding the concert piano bit )……………is a young Kathie Lee Gifford…………..honestly, Kathie was (and still is) the girl next door that could melt hearts with her smile and make a good dog break its leash with her looks and personality……………that was Kathy and that IS Myleene. She now joins an exclusive club with the likes of Dame Judi Dench, Private Jessica Lynch and Kathy Ireland to name just three and now this beautiful and mega talented lady will become the Godmother of a beautiful mega liner and forever be associated with the life of this great ship………………….. 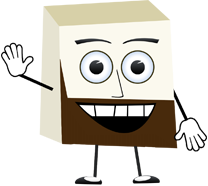 Remember, you can see the ceremony live…………..right here on my thingy. The entertainment staff all arrived yesterday. Some came from the UK and one from Oregon. I will be posting their bio’s and photos later next week so you can see who they are. myself……………………sorry……………please let me know if you need anything. So, back to Sunday lunch. In the UK there is something known as “a butcher”…………this is not a movie about a man in a hockey mask dismembering a bunch of college kids with a chain saw but its a shop that sells …………….meat. In the day and age of supermarkets the size of Rhode Island it is amazing that the family butcher lives on. I have never seen one of these before in the US or Canada…………..I am sure they exist but in the UK they are everywhere and after football and how much we hate Simon Bowel the hottest topic of conversation in our village is which is the best butcher. However, even this portion of the Sunday lunch has changed. I was round my mate Alan’s house a few weeks ago for Sunday lunch and Alison asked her kids to help set the table. This made them very angry because they were busy watching that man on YouTube light his farts. It seems these days that kids the world over would rather be sitting down with their friends in a Mcdonalds eating a McCow than sitting round their E Bay table eating Sunday lunch with their parents. If however you do manage to have the whole family there, the TV off and the table set in time before the vegetables need a drizzle of Viagra there is one more bridge to cross. This, for reasons I don’t fully understand, is a man’s job. Perhaps it’s because he hasn’t done the cooking or does not trust his wife with a carving knife which, somehow, after a week in a drawer, has become as sharp as Kirstie Alley’s bottom. It was my turn to do this a few Sunday’s ago. Mum and Dad were gathered around the table joined by my Uncle David and Aunty Rita……….they looked on with hunger in their eyes as I tried to cut the prime rib of beef with my blunt knife……….it wouldn’t have been able to cut through melted butter. So after a while and a lot of swearing, I went to look for that electric sharpener thing that every couple are given when they get married. By the time I’d found it, figured out how to turn the thing on and carve the cow the brussels sprouts were as hard as Dwayne Wades thigh and the gravy had congealed into something that could be used to cement bricks together. Eventually, though, we were under way. The family all together. Eating good wholesome traditional nourishing food. And talking about all sorts of things, such as the need to sit up straight, the need to eat with your mouth closed and not chomp like a donkey with a carrot, the need to ask for more rather than just leaning across the table and just grabbing an extra Yorkshire Pudding, and how it’s important to eat without your elbows taking on the shape of a B52 Bombers wings..
After dinner you curl up on the sofa and watch a penguin tap dance on the body of a drowned polar bear which is then eaten by survivors watched by big brother who after feasting on the beast sing for Simon Bowel who tells them they are crap and are voted off the island. I miss my Sunday lunch.